Apple now offers for sale a new Lightning to SD Card Reader with two noticeable improvements over the current one: It supports USB 3 speeds on the iPad Pro, and in an unexpected but welcome surprise, allows you to import photos to an iPhone, not just an iPad. The adapter costs $29 and, according to the online Apple Store, ships as early as next week. Update: Sachin Patel on Twitter points out that iOS 9.2, also released today, adds iPhone support to the existing Lightning to the SD Card Adapter. No need to buy the new one if you don’t have an iPad Pro. In 2012 I saw the potential of the iPad (then on its second generation) as a tool that photographers could take advantage of, and pitched my editors at Peachpit Press to write a book about it. 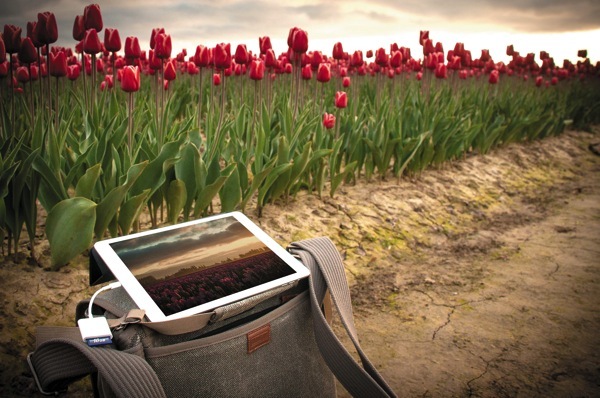 The result was The iPad for Photographers, which is currently in its third edition. The iPad is now five years old, so I’d love to discover how photographers are currently using the iPad in their workflows. Is it a crucial tool? An occasional benefit? Do you organize and edit photos? I would appreciate it if you could take just a few minutes to fill out a short survey. I’ll publish the results soon after the survey closes on September 30. Also, I will select one person at random (from the list of people who choose to include their name and email address) and send them a print copy of each of three of my latest books: Photos for OS X and iOS; The Connected Apple Family; and The iPad for Photographers, Third Edition. 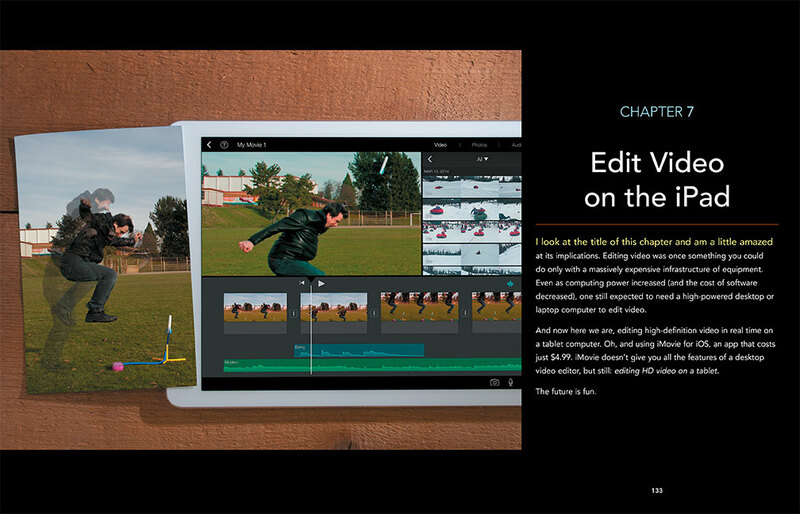 Pre-order The iPad for Photographers, Third Edition! Hot on the presses, the third edition of The iPad for Photographers is done and being printed! I can’t wait for you to see the finished version, which has been updated to cover iOS 7, more wireless options, Lightroom mobile, a dedicated workflow chapter, and more. I also had fun re-shooting many of the chapter opener images. Based on typical printing, ebook conversion, and distribution schedules, the new edition should be available mid-June. Pre-order it now. I’m seeing more examples of wireless iPad workflows for reviewing photos during a photo shoot. Most “tethered” situations require DSLRs (and usually just Nikon or Canon models). In this article, Don Craig employs an iPad, an Eye-Fi Mobi card, and the app Photosmith to sync images and metadata to Lightroom from Fuji cameras. Yay! Print copies of my latest book, Canon EOS M: From Snapshots to Great Shots, are now in stock at Amazon.com and direct from Peachpit. It’s just $14 at Amazon, which is a great deal for a full-color photography book. 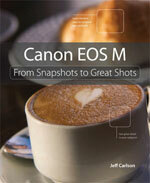 Read more about the book in Available Now: Canon EOS M: From Snapshots to Great Shots. I’m hard at work on the second edition of The iPad for Photographers , but in the meantime I’m proud to announce that the book I just completed, Canon EOS M: From Snapshots to Great Shots, is now available! Over at jeffcarlson.com, I wrote about why this title is especially important to me as a photographer. Here’s a secret: If you really want to learn about something, write a book about it. Even if you know the material—in my case, digital photography—it’s another thing to turn around and teach that knowledge. You’ll gain a deeper knowledge, guaranteed.